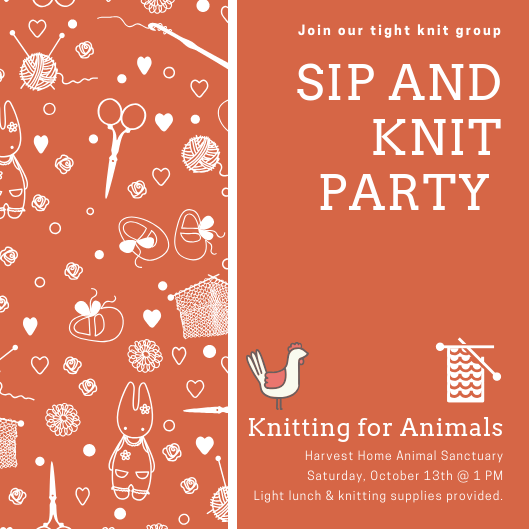 Join us for our first knitting party for the animals of Harvest Home Animal Sanctuary. Enjoy a light lunch with us and learn how to knit an item for the animals. Beginner and seasoned knitters are welcome. All supplies will be provided.